With the comeback of the glorious Elvenar, a new era draws near! Elvenar’s wasteland begins to flourish again, turning back into the thriving region it was many millennia ago. Ancient magic Relics that were forgotten for thousands of years rise to the surface and are waiting for you to find and collect them in the endless Provinces surrounding your city. Explore the world of Elvenar, make your name and become well-known among your neighbors! Discover the cities of other players, interact and socialize with them. Establishing good relationships will assure you of their support and grant fee-free trading conditions. Acquire the Relics and gain access to the magical knowledge of the remote ancestors of Elvenar. Every type of Relic can boost the production of a certain good – which ones will you specialize in? Each Province features eight Encounters, where you will meet different people and characters who will try to trade their Relics with you. But negotiating is not the only option to get your hands on these precious rewards. 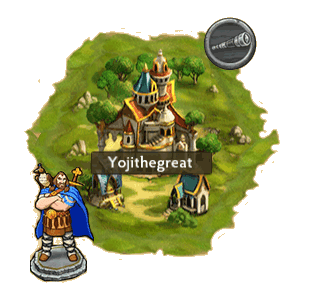 If you are up for it, you can fight for them and lead your troops into epic, 3D-animated battles against powerful opponents.